Scientists at Rice University in Houston have discovered at least three cross-species mating instances that would have been a likely influence on evolutionary development of these Old World genetic mouse lineages, two of them in recent times and the other in the distant past. There are reportedly at least 519 species of Old World — members of the subfamily Murinae in the family Muridae called murines. This subfamily is the largest of all mammal families save for Cricetidae and Muridae, and larger than all mammalian orders except bats and the remainder of rodent species. Murinae are native to Africa, Europe, Asia, and Australia, and are also notably the sole species of placental terrestrial mammals native to Australia. These mice and rats have been introduced to all continents with the exception of Antarctica, and are major animal pests and disease vectors wherever they’ve spread — particularly in island communities where their profligacy has contributed to endangerment and extinction of less aggressive and crowded out indigenous animals. On the upside, two prominent murine human commensals (feeding on feathers of birds and\ sloughed-off flakes of skin from other mammals) — the brown rat and the house mouse — have also become important laboratory animals, both used extensively as subjects in medical experimentation. The Rice researchers deduce that these mouse introgressive hybridization instances are a way genetic material and, potentially, characteristics, may be passed across species by way of interspecific mating, and are only the first of many proverbial needles yet to be found in what is a huge genetic haystack. While Believed to be common among plant species, the scientists findings suggest that instances of introgressive hybridization in mammals may not be the evolutionary dead end that biologists have commonly declared them to be. 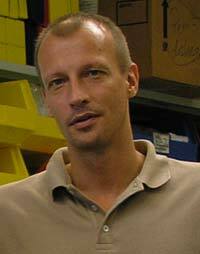 Teams led by Rice associate professor of ecology and evolutionary biology. Michael Kohn and computer scientist Luay Nakhleh discovered that two species of mice from various European and African locations have shared genetic code at least three times over several centuries to their apparent advantage evolution-wise. The Michael Kohn lab at Rice uses Big Data-inspired molecular and bioinformatics tools to study the evolutionary dynamic of genes and genomes in populations and species, with some of the lab’s research projects having conservation biology and/or medicine implications. Much of the Kohn lab’s work is focused on evolutionary dynamics and medical effects of mutations in the vitamin K cycle genes, particularly vkorc1, in rats and mice that have developed resistance to anticoagulant rodenticides such as warfarin. 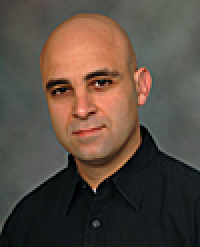 [adrotate group=”15″]Rice University Department of Computer Science Bioinformatics Group led by Dr. Nakhleh conducts research on developing methodologies, implementing software tools and conducting analyses — all targeting production of answers on and enabling research into biological questions. Dr. Kohn, who tracks the genetic roots of mice to study development of favorable evolutionary traits, and Dr. Nakhleh, whose evolution studies compare genomic data, have now jointly shared their findings in the journal Proceedings of the National Academy of Sciences. The PNAS paper, entitled “Interspecific introgressive origin of genomic diversity in the house mouse” (Early Edition > http://www.cse.msu.edu/~kjl/ Kevin J. Liu, doi: 10.1073/pnas.1406298111), is coauthored by Drs. Kohn and Nakhleh with Kevin J. Liu, undergraduate students Ethan Steinberg and Alexander Yozzo, all of the Departments of Computer Science and BioSciences at Rice University, and former Rice postdoctoral researcher Ying Song who is currently at the Chinese Academy of Agricultural Sciences in Beijing. The researchers note that for many decades mice have been common subjects used for genetic and biomedical research and mammalian evolutionary studies because they breed quickly, allowing biologists to follow many mouse generations in the span of one career. The ability to track such interactions has implications for human genetics and health, the researchers said. Consequently, Understanding house mouse genomic evolution would not only shed light on genetic interaction and interplay with mouse traits, but also reveal significant implications pertaining to human genetics and health. A recently developed statistical analysis method applied to the house mouse (Mus musculus domesticus) genome uncovers a mosaic that incorporates previously unrecognized contributions from another mouse species. The Rice researchers traced these contributions back to both ancient and recent instances of interbreeding in order to determine the extent of introgression affecting a scientifically important mammal’s genome as well as providing an approach that would encompass genome-wide scans to detect introgression in other eukaryotic (an organism whose cells contain a nucleus and other organelles enclosed within membranes) genomes. In the paper, the coauthors report results derived from a genome-wide scan investigating introgression between the house mouse and the Algerian mouse (Mus spretus), using samples from the ranges of sympatry (species that inhabit the same geographic area and regularly encounter one another) and allopatry (occurring in separate, non overlapping geographic areas) in Africa and Europe. Their analysis reveals widely ranging degrees of introgression, with fewer than half of autosomes in each genome harboring the full array of detectable introgression. Moreover, European mice carry more M. spretus alleles than sympatric African mice. By analyzing patterns of distribution and sharing among introgressed genomic tracts across the genome samples, the scientists were able to infer in the first instance at minimum the three distinct hybridization events involving M. spretus referenced above had occurred, one of them ancient, and the two others recent (one of which they presume was attributable to warfarin rodenticide-influenced selection). Secondly, several of the introgressed tracts contain genes deemed likely to result in adaptive advantage. Third, the coauthors deduce that introgressed tracts might contain driver genes determinant of those tracts’ evolutionary fate, and fourth further functional analysis detected introgressed genes essential to fitness, including the Vkorc1 gene, which was implicated in the rodenticide resistance event, as well as olfactory receptor genes. The researchers conclude that their findings highlight both extent and role of introgression in nature and that careful analysis and interpretation of house mouse data in evolutionary and genetic studies are called for. Dr. Kohn had previously detailed a mutation in common European house mice that conferred resistance to warfarin, a rodentcide also used medicinally in humans as a blood thinner for people with cardiovascular disease. Evidence revealed that particular mutation appeared in mice approximately a decade after warfarin had been introduced in their habitat with an apparent connection to geographically distant Algerian mice that carry the same mutation. However, that project had investigated only small segments of the mouse genome on a single chromosome in which the mutated gene in (Vkorc1) was known to exist. The Vkorc1 gene had introgressed adaptively between these mice and was known to cause resistance at a time when some scientists thought such events should not happen, says Dr. Kohn in a release. Lead author of the PNAS paper is Kevin Liu, a former postdoctoral researcher with Dr. Kohn and Dr. Nakhleh, who is currently an Assistant Professor in the Department of Computer Science and Engineering at Michigan State University in East Lansing, Michigan. The researchers employed Rice’s supercomputers and the Nakhleh lab’s Open-Source PhyloNet-HMM software to statistically locate likely connections between re-sequenced complete genomes — some of then newly determined, while some had been previously collected as part of massive effort to understand the the laboratory mouse genome’s evolutionary origins. 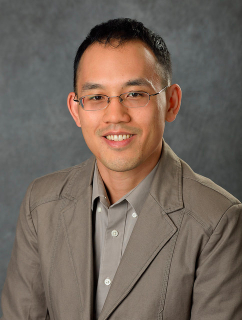 Dr. Liu’s research is creating new computational methodologies for efficiency accuracy in comparative genomic analyses, particularly in investigating complex evolutionary scenarios and subsequent connections of resulting insights to phenotype and function. 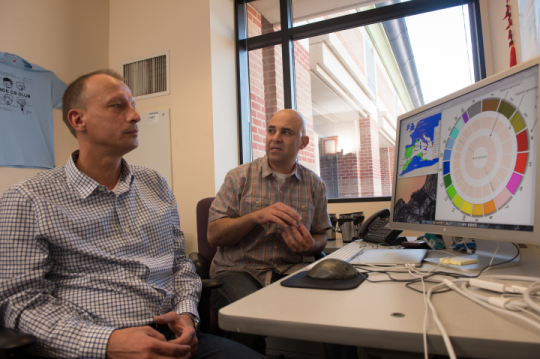 “The end goal of my big-data-driven approach is to generate hypotheses that result in new biological and biomedical discoveries,” he explains. The PhyloNet-HMM program consists of a statistical model and associated inference method for analysis of complex evolutionary scenarios, especially non-tree-like evolutionary scenario, combining phylogenetic networks, enable capture of complex evolutionary genomic relationships with hidden Markov models that capture inter dependencies among genomes in a novel manner. PhyloNet-HMM’s performance has been validated using both simulated and empirical datasets, including both tree-like and non-tree-like evolutionary scenarios. You can find a detailed description of model, inference method, and performance study in the manuscript: “An HMM-based comparative genomic framework for detecting introgression in eukaryotes,” by K. Liu, J. Dai, K. Truong, Y. Song, M. H. Kohn, and L. Nakhleh, published in PLoS Computational Biology, vol. 10, no. 6, p. e1003649, 2014, doi: 10.1371/journal.pcbi.1003649. The investigators discovered two more sets of genomic regions, or tracts revealing hybridization events, one of which appears to predate European colonization by M. m. domesticus. The other, which affected sense of smell resulted in a definite evolutionary advantage for mice in seeking food or mates. “The new statistical method developed in Luay’s group can only tell you whether an event is there or not. It cannot tell you why its there or what it does. But it gives you a way to start looking,” Dr. Kohn observes, adding that lengths of shared genomic tracts provide key information for estimating both age and evolutionary dynamics. 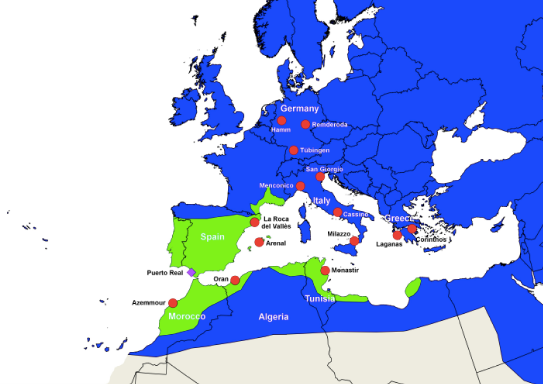 “The longer the region, the more recently the hybridization event occurred. And some may be driver genes that drag along adjacent chunks of DNA. One challenge is to see which are driver genes, meaning they encode a biological function that could be favored by natural selection, and which are just tagging along,” he says. This research study was supported by The National Institutes of Health’s National Heart, Lung and Blood Institute and National Library of Medicine, by the National Science Foundation (NSF) and by the Keck Center of the Gulf Coast Consortia. The researchers utilized the NSF-funded DAVinCi supercomputer administered by Rice’s Ken Kennedy Institute for Information Technology.